Give a warm welcome to a very special guest, Suzie Tullett! 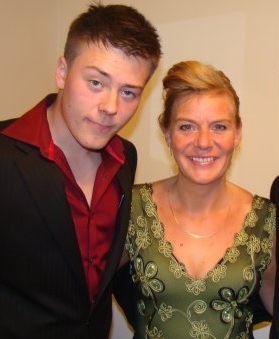 Suzie, thank you and your husband for raising such a brave and caring son. It’s people like Ben and your family, who make this world a better place. Holding Ben, members of the Royal Air Force, and their families in prayer. Suzie is the mother of two gorgeous sons, the wife of a serving Police Officer and a full time writer, lucky enough to live between the UK and Greece. And when she’s not tapping away on the computer creating her own literary masterpieces, she usually has her head in someone else’s. 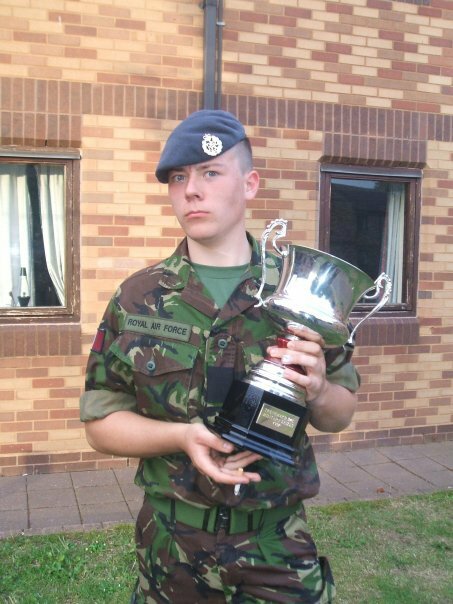 I remember my youngest son joining the British Royal Air Force like it was yesterday. He’d just turned 16 and was barely out of school – way too young to be leaving home in my book; yet there his Dad and I were, driving him down to Halton regardless, getting ready to hand our little boy over to the base where he was to begin his basic training… Honestly, it was awful. I mean I’m the kind of mum who’d keep my children well and truly wrapped in cotton wool if I could get away with it, so why on earth I brought them up to be so independent beats me to this day! Still, I played my role well, making sure to match his enthusiasm, smile in all the right places, encourage where possible and talk about what a fantastic career he had ahead of him – when all I really wanted to do was turn the car around and take him back home again. But that’s what we as parents do when it comes to supporting some of our children’s life decisions, isn’t it? We put on a brave face…. Although in instances like this we also keep our fingers crossed in the hope that a fallen tree somewhere along the road will prevent our journey from going any further – however, in my case there was no such luck and yes, we arrived at our destination without incident. I had expected to be able to spend a little time with our son before we left, but, alas, that wasn’t to be the case either… So despite the RAF putting on a ‘Family Day’, it very quickly transpired, it was more a ‘Family Of’ event – our son immediately being taken off in one direction, whilst we, his parents, were led off in the another. Naturally, I very quickly found myself close to tears as a result, leaving Benjamin’s Dad no choice but to intervene on my behalf… and after a quiet word with Ben’s superiors he was thankfully brought back to us so we could each say our proper goodbyes; however, imagine my horror upon seeing he’d already had the obligatory head shave! Now I don’t know if it was the circumstances we were in, my nerves, or, indeed, his – but it was like staring into the eyes of a six foot, five year old. Then to make matters worse, from the way the other parents were talking it was obvious his peers were all going to be so much older – most of them already in their early to mid-twenties by the sounds of things. A reality further brought home when later that day, it became apparent that Benjamin was now the youngest serving member of the RAF. Of course, five years on I’m still worrying. Only now it’s less to do with his age and more about him coming home safely from Afghanistan and such places… But that’s the price we Forces Mums have to pay for bringing up such brave, caring and thoughtful children in the first place. This entry was posted in My Story and tagged Benjamin Tullett, brave face, British Royal Air Force, career, Halton, life decisions, making the world a better place, Oath of Allegiance, Susie Tullett by Janie Reinart. Bookmark the permalink. Thank you Suzie for sharing your story. Keep us posted on how Ben is doing. God bless you. Suzie, What a moving story. I’m pretty sure that if my 16-year-old tried to join the military he would march into basic training with my clamped onto his leg as he dragged me along. Also, that photo of you and Ben is gorgeous. Wow Suzie, I agree with Paulita. That is a stunning picture of you and your son! Love It. I didn’t realise you are a military mum. I hope he stays safe. All good wishes go with him. How long is Ben’s deployment? My son was gone for 15 months –active duty and deployment to Iraq. I took off my watch, because time stood still. Thankfully he’s back in the UK now, Janie. He had to be brought back early because of the WorldSkills competition he’s been a part of. It’s a competition to find the ‘best of’ in various job related skills, covering not just the Forces but also private industry as well. 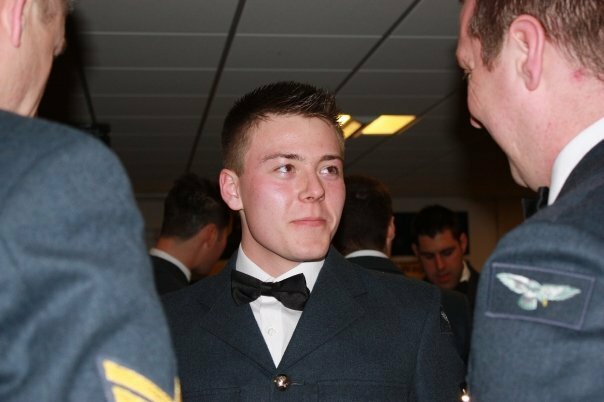 Benjamin was put forward as one of two RAF candidates (in the aeronautical engineering mechanical category) prior to his deployment and, having been successful in the previous rounds, had to come home to take part in the UK semi-final. Phew…! That is such good news! Yeah Ben! How exciting that he is in the finals. Suzie, please keep us posted. And the best part is that he had to be brought back early!! Yes, he is home and done with his service. Joe served six years in the Ohio National Guard. Then he served two more years as reserve and could have been called back to service at any time. Thankfully he wasn’t deployed again. Joe just got married at the end of July! As a mom, you can breathe again, when they are home! I am in awe of the brave young men and women that serve our countries! I do feel that they are all are children and pray all the time for them and their safe return to those who love them. Thanks for your story, Susie. I can relate my son is in the Marines. He is now on his 2nd enlistment. In today’s trouble world, we have to pray a lot for them. We’ve been through one deployment- hopefully not any more but time will tell. You’ve raised a brave young man! Thank you for your son’s service. Suzie, thank you for sharing such a beautiful story. Ben is a man now and you must be so proud of his recent accomplishments — and to have him home. So happy he’s in the finals.